After a day mostly spent inside, we held our penultimate worship session. Communion was held to remind us of the price Jesus paid when He died on the cross for all of us. 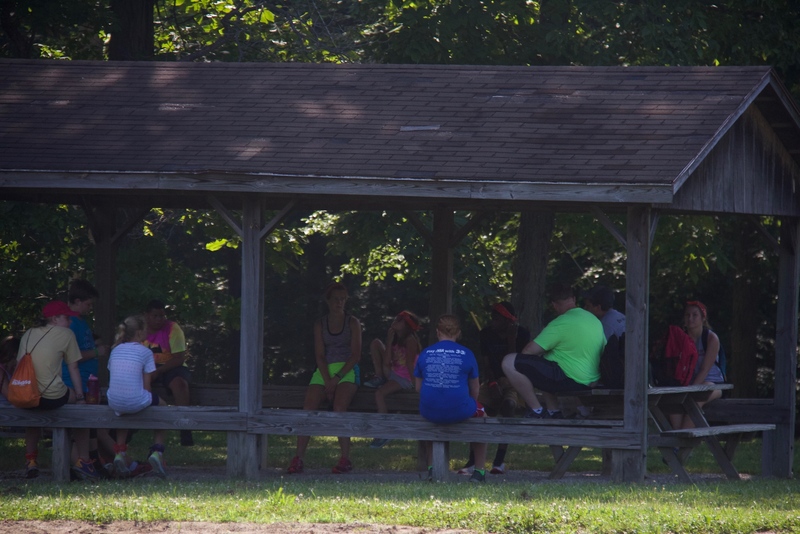 After an amazing worship session, the campers gathered to celebrate and praise the Lord for an amazing week of camp. Storms neared but that didn't stop us from worshipping the Lord and continuing our weekly discussion. Today the campers talked about followers and who we follow on social media and in real life. 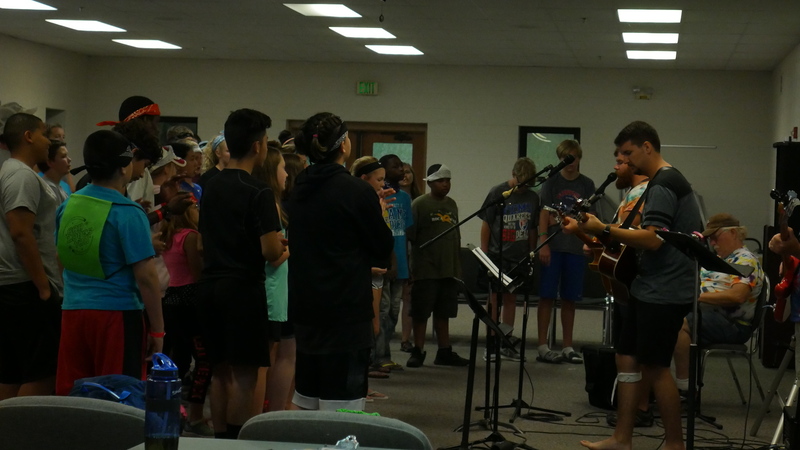 Tonight at worship, worship leader Cory shared his testimony with the campers. He spoke how he was following the wrong people and chasing after worldly things he shouldn't. No matter how far you run, how hard you try to hide from Him, Jesus finds you. Our purpose in life is to follow Jesus Christ and share His love with everyone. Once we follow Him, we experience love like no other, so why not show that to everyone you can? To be with Jesus and receive eternal life we must acknowledge our sins and know that Jesus paid the ultimate price for us. There will be times where we will stray, but Jesus will always find us. 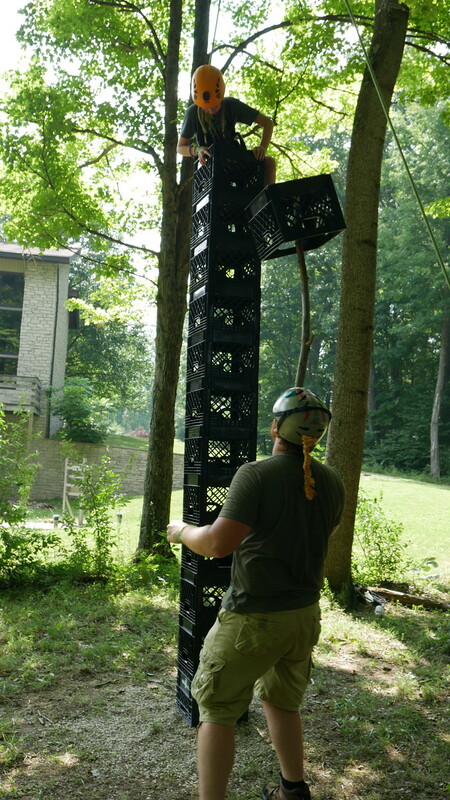 During activity time, some campers went to do crate climbing while others went to archery. Make sure to click the photo above or the button at the top of the page to see all the photos from the day! Today's discussion during family time was about who we follow. Every person and thing we follow on social media speaks a lot about ourselves. The same is said for when we follow Jesus Christ. It shows others His light if we truly follow Him and aim to live out the truth and show His light to others. 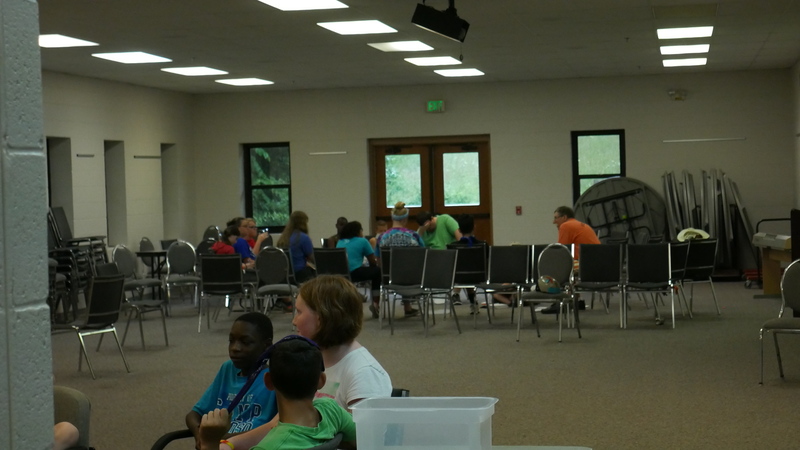 Today the campers discussed one of the most popular Bible stories of the Good Samaritan. Counselor Megan expanded on the story at the nightly worship, explaining how we can be more like the Good Samaritan. With God's love we are set free and are made new, so why not share that same love with everyone else? Loving one another changes from something you have to do to something you get to do. Megan wrapped up the worship with this important takeaway: loving each other on social media may be as easy as a click, but loving each other in real life is the challenge. No amount of likes can compare to the amount of love God has for us and sharing it with others. While lightning neared, activities were briefly pushed back. 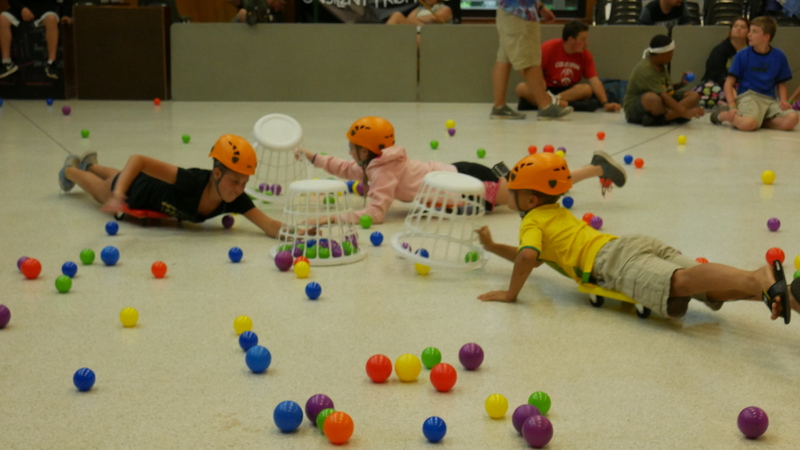 In the meantime, a game of life-size hungry hungry hippos ensued! Make sure to click the link above to see all photos from the week! The weather couldn't stop morning worship! 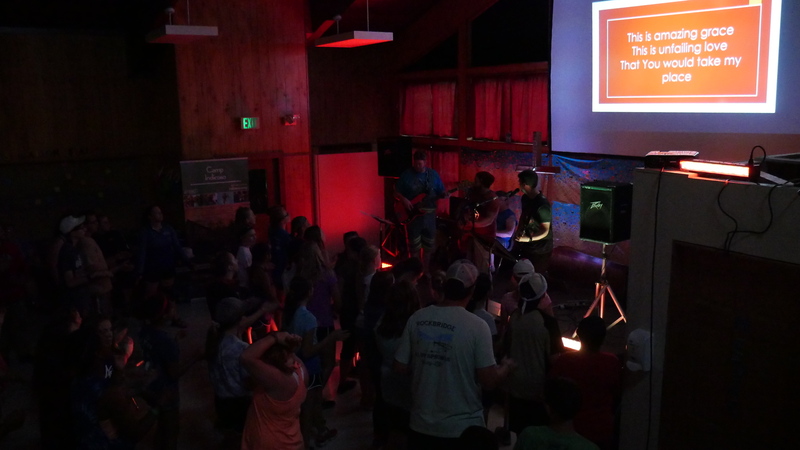 The campers stayed at the bottom of the Armstrong Center to sing praise to the One True King! At worship tonight, counselor Jake led the group with a message about filters. Popular social media apps use filters to hide worldly flaws, but God wants us to remove the filters and for us to be who he created us to be: a representation of his image. With the song "You Are More" by Tenth Avenue North, Jake helped to remind us all that this world is temporary and God's love is forever so we must keep our focus on him and remove the filters to be who he created us to be. 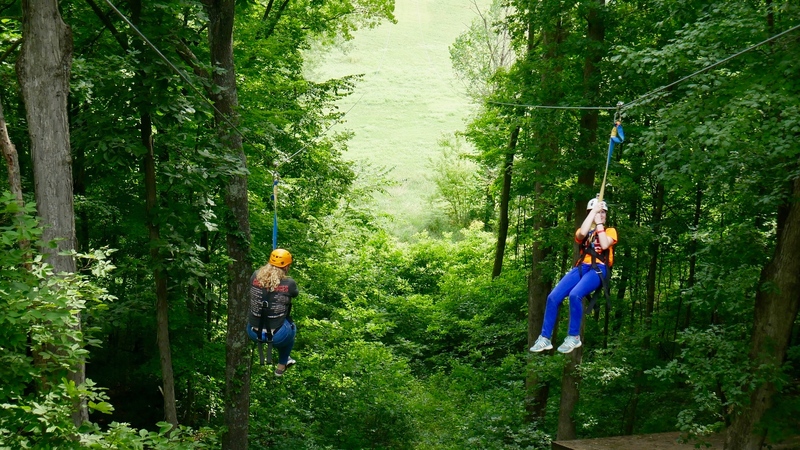 While one group got to do high ropes in the morning, another was able to go on the giant swings in the afternoon! The rain came down for a few minutes during swing time but decided to not stay long to allow activities to run as planned! 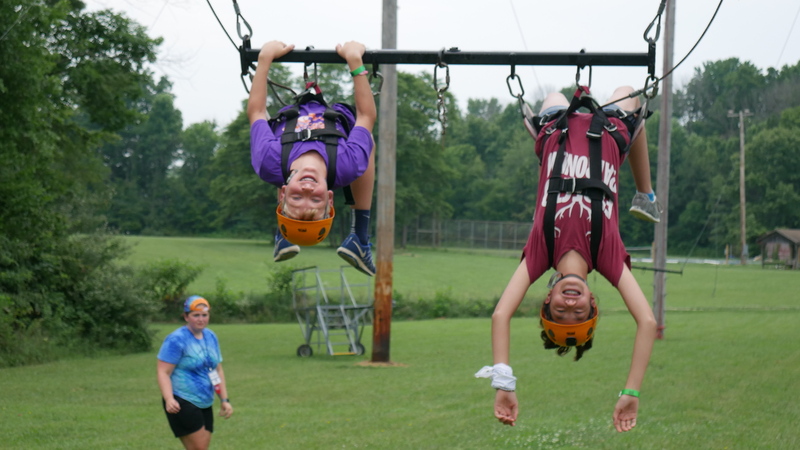 During the devotional time the campers discussed how even though we may be different people online or in certain situations, God sees us for who we truly are. It's easy to get caught up in who we think we need to be in the world, but we need to keep our eyes focused on what God wants from us. 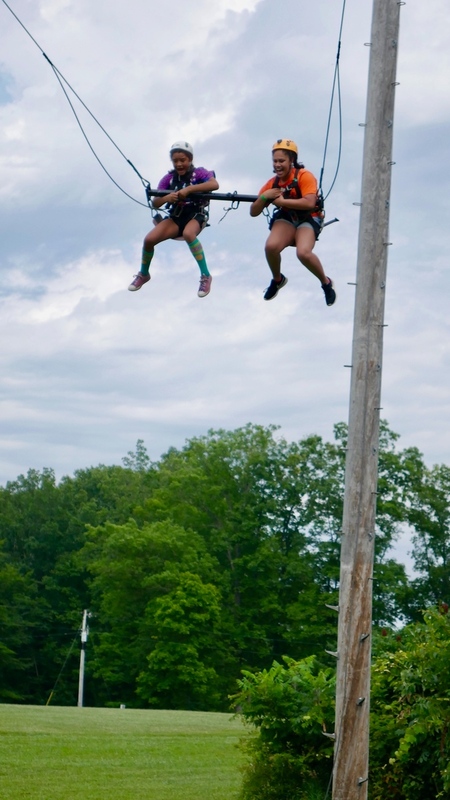 A few brave campers were the first ones to conquer the high ropes course today! While not everyone went through, those at the bottom encouraged their peers to continue on, reminding them that God was with them to keep them safe. Everyone arrived safely, ready for an amazing week of camp. 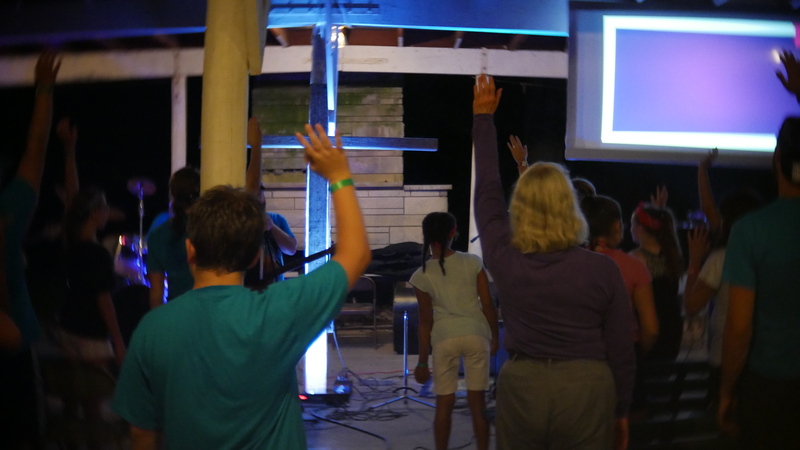 The week kicked off with a night of worship introducing the week's theme of social media and keeping all eyes on God.